Some drug companies are beginning to push back against the trend of purchasing rights to generic treatments and raising the price. Imprimis Pharmaceuticals has recently announced that it will be offering a version of the anti-toxoplasmosis drug Daraprim for $1.00 per pill. Daraprim made headlines earlier this year when rights to the drug were purchased by former hedge fund manager Martin Shkreli and the price was increased from $13.00 to $750.00 per pill. Strictly speaking, what Imprimis will be offering is not the same as Daraprim. The compound drug maker will instead be selling capsules containing the necessary active ingredients—pyrimethamine and leucovorin—but not any of the other substances that may be inside Daraprim. The plan is to fill orders with ingredients purchased in bulk from FDA-approved suppliers and produce the capsules at Imprimis’ own facilities. Compound drug makers like Imprimis normally make pills in response to prescriptions for specific patients. This is usually done because the mass-produced version is experiencing a shortage, unique dosages are needed, or certain formula changes are called for to avoid adverse interactions or allergies. 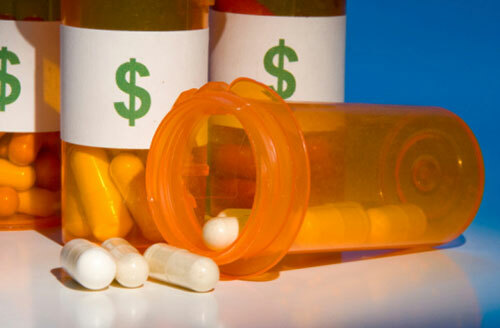 The recent stories of drug makers like Valeant or Shkreli’s Turing Pharmaceuticals purchasing the rights to older, affordable drugs and dramatically raising the price have received a great deal of scorn and attention from many sources. Doctors and patients are upset because these treatments are usually the only one of their kind, and investors have been responding by avoiding biotech stocks. This is in addition to the scrutiny being delivered by media outlets and politicians alike. Mark Baum, founder of Imprimis, says that his company’s approach will still be profitable—somewhat countering Shkreli’s claim that Daraprim was not financially viable at its original $13.00 price. Should Imprimis’ compounded Daraprim be successful, the company plans to expand into other treatments that have seen recent large price increases. Hennelly, R., “Why Spend $750 a Dose for a Drug You Can Get for $1?” CBS News web site, October 23, 2015; http://www.cbsnews.com/news/why-spend-750-a-dose-for-a-drug-you-can-get-for-1/. Johnson, L., “$1-dose Competitor Emerges for Turing’s $750 Pill,” CTV News web site, October 23, 2015; http://www.ctvnews.ca/health/1-dose-competitor-emerges-for-turing-s-750-pill-1.2623792.